Sit and relax in comfort with reclining lift chairs, which are designed to give you the boost you need to maintain an active lifestyle. Reclining lift chairs are available in many colors and fabrics, so finding one that matches your existing furniture is quite easy. You should consider your health and mobility needs when buying a mechanical chair. 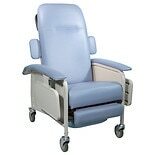 Reclining lift chairs are available in many varieties, each with its own level of mobility assistance. 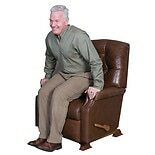 Chairs that move in three positions allow you to lie back and recline fully, sit in a normal posture, and stand with ease. Infinite-position chairs are ideal for maximum mobility. 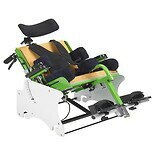 Mechanical chairs of this type allow you to recline until you are resting completely flat, and they also help you sit up straight and stand easily. When you select a mechanical chair for your home, consider the various color, style, and material options available for upholstery. Some upholstery materials are more stain resistant than others. 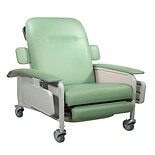 If you plan to spend a lot of time eating or drinking in your mechanical booster chair, you should consider a fabric that is stain resistant and easy to clean. Leather or microfiber lift chairs are a good choice for easy cleaning. You can easily remove most stains from either type of fabric with a simple cleaning product and a soft cloth. Dark-colored chairs are often easier to maintain than lighter-colored ones. You can find reclining lift chairs in colors and styles that match and accentuate just about any style of home decor.